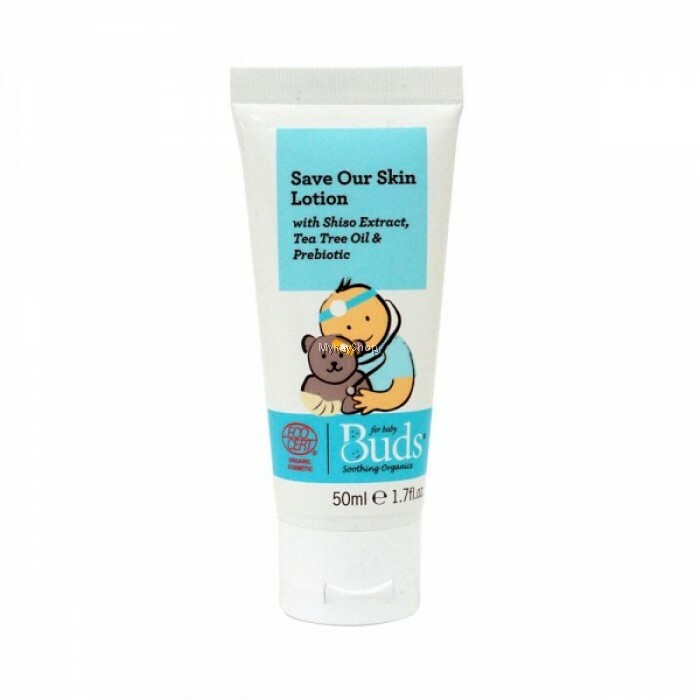 Previously known as "First Aid Lotion"
While your children are playing, let the Save Our Skin (SOS) Lotion protect them from the rough world outside. Shiso Leaf Extract is a powerful soothing ingredients, while organic Tea Tree Oil provides potent anti-bacterial defence, and anti-oxidant rich Olive leaf extract helps to protect skin from free radical damage. Boosted with Prebiotic, Alpha Gluco-oligosaccharide selectively fuels the growth of healthy bacteria while inhibiting the growth of bad bacteria. 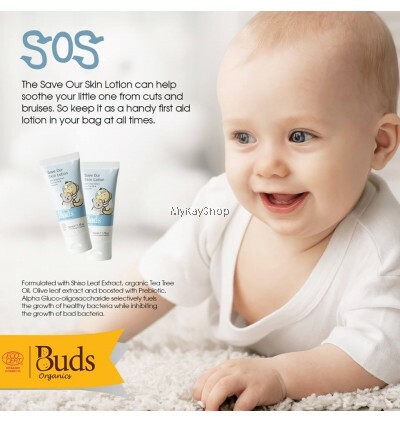 So keep Save Our Skin Lotion handy in your baby bag and first aid kit, and keep discomfort at bay! Use sparingly as often as you wish (it‘s all natural, after all!). 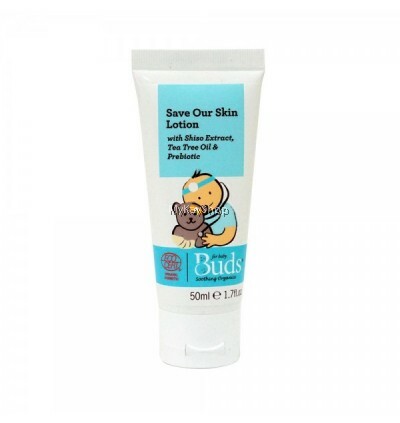 Tea tree oil may sting a little, so always take care to keep lotion away from baby's eyes and mouth. Aloe barbadensis leaf juice*, cetearyl olivate,. sorbitan olivate, portulaca oleracea extract, malaleuca alternifolia (tea tree) oil*, xylityglucoside, anhydroxylitol, xylitol, perilla ocumoides leaf extract, inulin, alpha glucan-oligosaccharides, bisabolol, fructan, tocopherol, helianthus annuus (sunflower) seed oil, olea europaea (olive) leaf extract, parfum/perfume, glyceryl undecylenate, phythic acid.